Earlier this year I gave the above public talk on behalf of the Barcelona Network of English Therapists. I will write the talk up at some point. 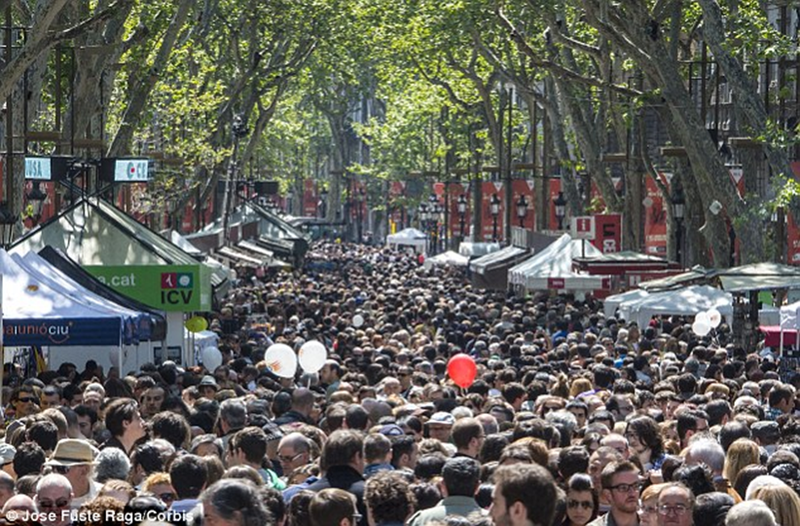 In the meantime I offer you links to journalism (mostly) on the theme of tourism in Barcelona and the impact it has on the life of the city. Despite the generally pessimistic message arising from those on the receiving end of the mass tourism laying siege to the City and which seems to be generating so much tension and social conflict, the Generalitat (see El Pais article below 18/6/2015) predicts an increase of 7% in the number of tourists visiting Catalunya this summer! Here’s the excellent and powerful 2014 documentary refered to in my lecture as well as the above Daily Mail article. ‘Bye Bye Barcelona’ by Eduardo Chibás The Director himself is actually from Caracas Venezuela – he lives in one of the overrun barrios examined in the film: Sagrada Familia, in which the painful (for locals) contemporary issue of tourist rentals is explained alongside the issue of how Barcelona is rapidly being transformed into the world’s biggest shop and cultural theme-park. 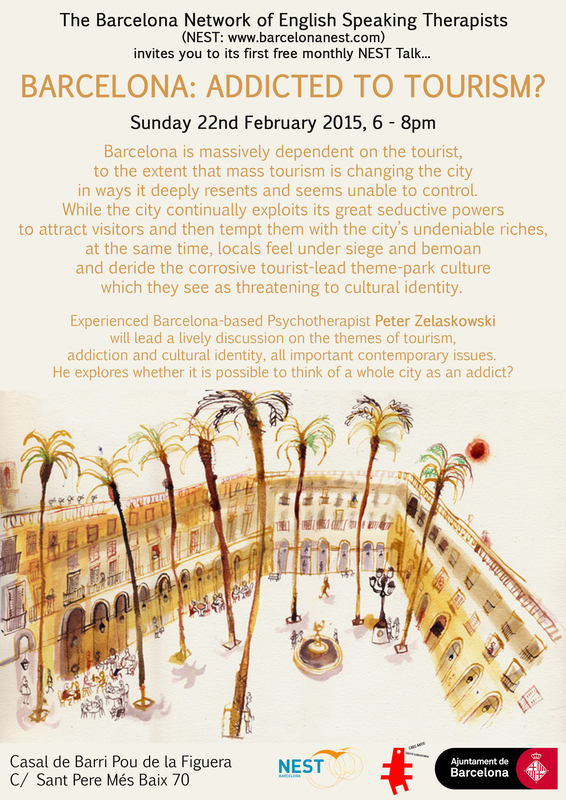 You’re left in no doubt by the end of a film filled with striking images of massively overcrowded streets and the angry words of locals burning with resentment, Barcelona is a city under siege with a cultural identity feeling the threat that so many visitors cannot but bring about. And yet one cannot escape the thought that this great City is somehow implicated in its own downfall, being as it is so heavily dependent on the income brought in by tourism.